DLM approached ASH to assist in the replacement of a customer’s weight reporting system. The system would monitor crane operation, automatically record the load weights and then send summary emails with attachments via the GSM network. The operator also required a display for the data along with audible warnings. Despite the challenges in understanding the exact requirements, implementing them in a short timescale, as well as not having the full hardware to test with (as the crane would not fit in the ASH lab! ), we worked closely with DLM and their customer and designed, implemented, installed and tested the system on time. 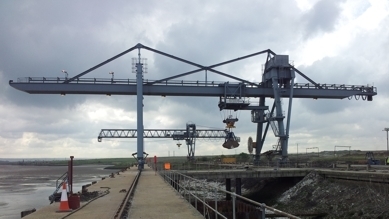 "The Cory weighing solution was going to prove quite a challenging project for DLM as although we could manufacture the required loadcells to the high specification they required, we knew we would need help putting together the software required for system control and data collection, not to mention the wireless communication requirement. Having worked with ASH before we knew we could rely on their in-house expertise and the system they designed not only achieved the clients brief, but far exceeded expectations in terms of technical detail and ease of use."